I bought it because it was thinking of summer with balads and I often wear dresses, aaand... there are no pockets on my dresses and skirts. 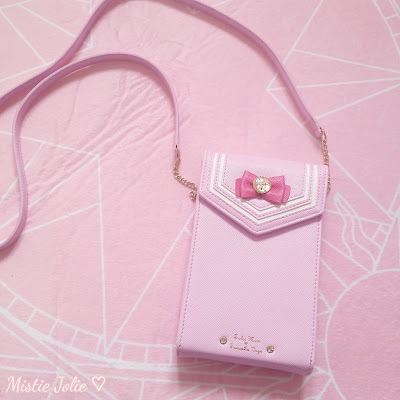 So I found this accessory very useful when you don't want to take your big handbag. 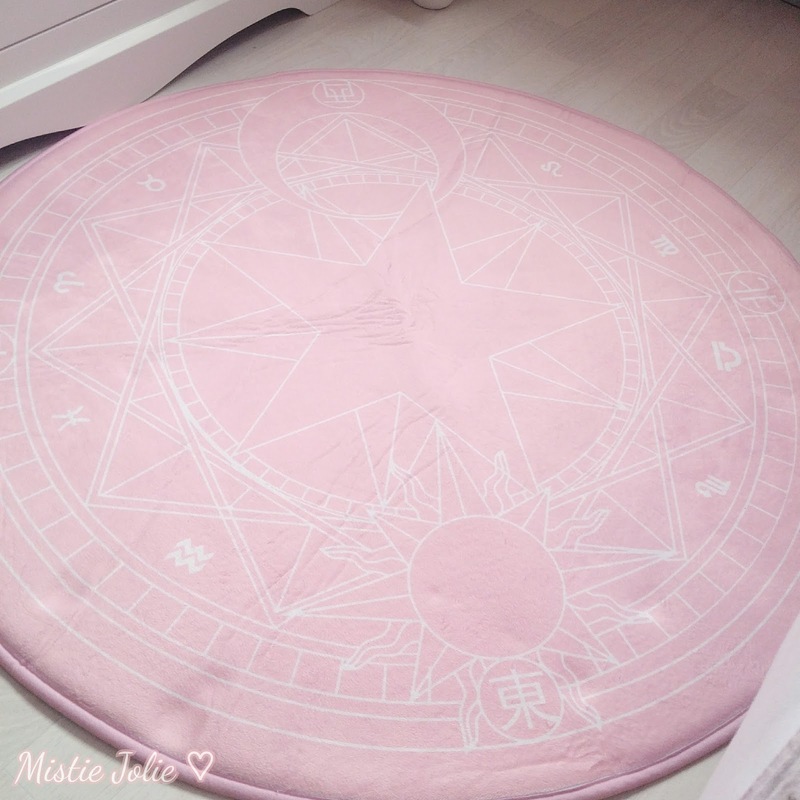 Haha This one is actually an offbrand Sailor Moon accessory but the quality seems good (I just have to use it and see if the color doesn't disappear too quickly). 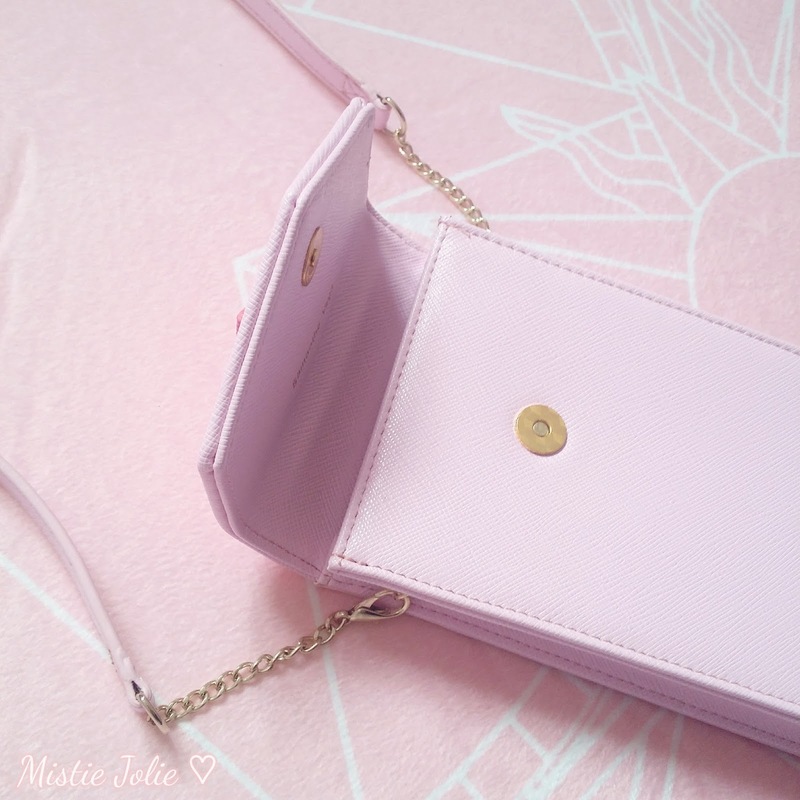 It was also affordable for my little budget and my phone (which is a Samsung Galaxy S4) goes easlily inside. There's just one thing that show it's not a real: the colored "diamante" are not paste at the right place. 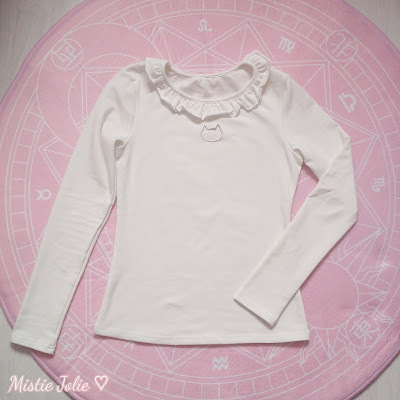 I got this pair in white with the cat from Kiki's Delivery Service, I think I will mach them with a school uniform, it could be so cute~ *^* The quality is really good, they are very thick and stretchy. 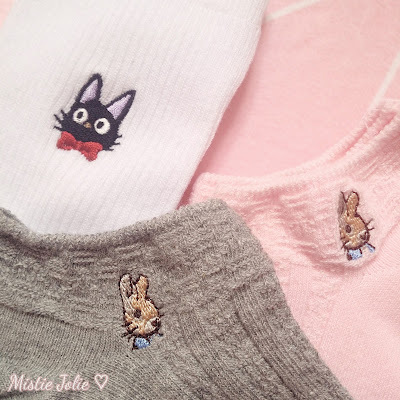 Thank you Peiliee for the Peter Rabbit's socks, it was a nice birthday gift!! ❤ There's the cute rabbit on both! I really love socks, in particular classical ones with little details~ They are also made of good quality products. 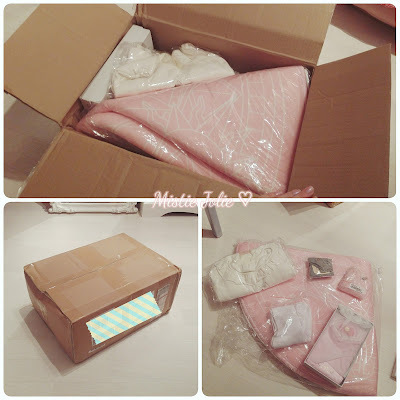 Everything was wrapped individually, and the cardboard box was enough strong to protect the products (because it was a bit damaged). Very good quality for the price of each item, I think Peiliee Shop tries to promote good quality products with cheaper prices! 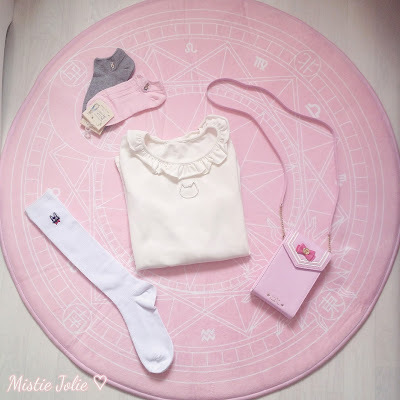 What is your favorite item I got? 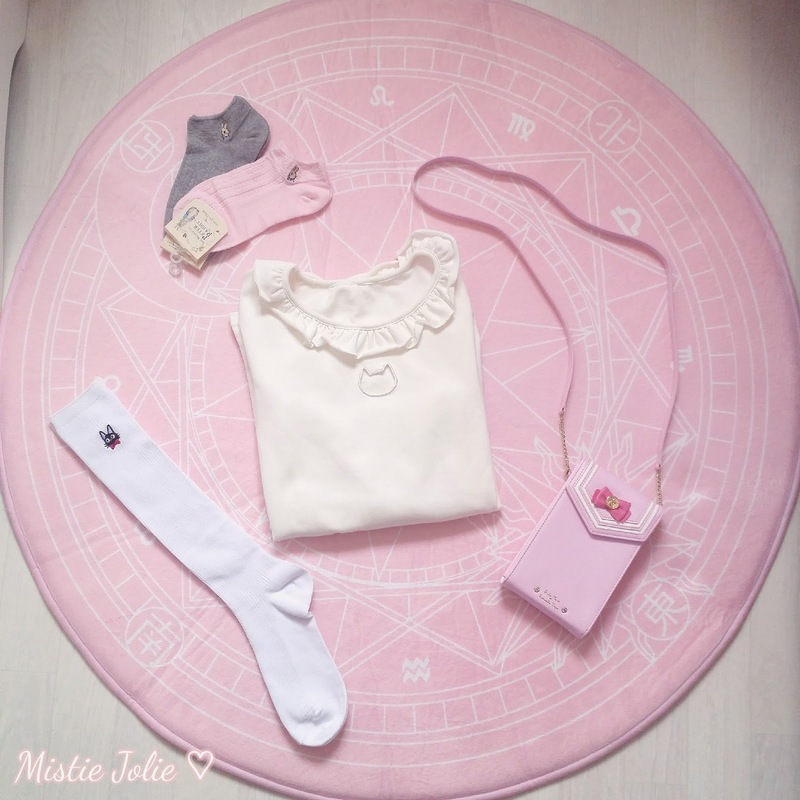 You can find more photos of my order on Instagram (@mistiejolie)!